Welcome to Fave Fives. It's Friday so that means we take a pause and take note of some of the blessings from this last week. It has been a very emotional week for most us so it is especially good to find some good things in our lives. Please join on in. Miracles and heroes rising to the surface. In the midst of the tragedy of Los Vegas and the scary attack in Edmonton I have really been uplifted by the amazing stories of courage, love and selflessness that have come out of the ugliness. I understand it needs to be reported on but I sure wish news programs would focus way more on the good stuff that comes out of people rather than the constant rehashing and speculation directed towards the evil act and the person who did it. The true heroes of the tragedy deserve way more air time than the evil in my opinion. Grace and understanding when mistakes are made. I misplaced something important this week, and by misplaced I really mean the darn item literally has pulled a Houdini and disappeared! I have given myself a tension headache in trying to find it all day and was so nervous to admit it to the person involved. They extended much understanding towards me which meant everything. I still haven't found the thing, I can't imagine what on earth I could have done with it, but I am very thankful for the mercy. Hard working hubby who was out while it was still dark shovelling the massive amount of wet snow off our huge driveway making it safe for the arrival of the dayhome families. And then he went and shoveled my mom's huge driveway. I so appreciate him getting out there and doing that. He's a good man. J.R.Watkins Medicated Ointment . My knee has been aching for over a month. It's been acting weird and I really need to go get it checked. But meanwhile the owner at my gym gave me a good amount of this stuff to see if it would help. And it does seem to be helping. I have to use it a few times a day but it makes it so I can get to sleep and then to be able to do my work in the day. It has helped my husband's sore and aching shoulder too. So grateful she shared with me something that helps aches and pains. Chatter of children learning to talk. I love when kids start to talk. The way they talk and form their words and sentences is so cute and when they say my name I just melt. One of the great parts of my job. What were some good things from your week this week? It's Canadian Thanksgiving this weekend in Canada. 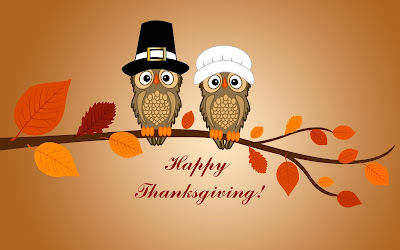 I want to wish all my Canadian friends a Happy Thanksgiving filled with lots of love and friends and family. I fully agree with your N°1 most of the time they talk about horrors and never about positive things. Hope you will find your misplaced thing ! Probably in a very unexpected place. I once was looking for my slippers and Mr. G. found the in the fridge ! that was the worst I have ever done ! I so agree about the media!! everything is fixated on the bad.....and as Christians we KNOW where this bad is coming from....the Enemy wtecking havoc in peoples lives...but man....i do wish the newspeople would focus more on the positive things and the real heroes!! well, i misolaced something too this week and it is driving me crazy because i KNOW teal pumpkins do not walk outta the house by themselves!! yours is probably something more serious than that so thank God thenperson affected has shown you grace! Good husbands.....so thankful you have one for that early snow!! Happy Thanksgiving to you..lenjoy every moment with your family. Happy Thanksgiving! There have been some amazing stories come out of the LA shooting, and like you, I wish they'd share more of that abundance than the evil of one man. That is so maddening when something goes missing and can't be found. Hope it turns up soon, and I am grateful for the understanding of the other party. You're blessed with a good husband! I'm glad the ointment is helping. I've been enjoying what Timothy comes up with in his learning to talk as well, much of it perfectly logical, like when he called his mom's bracelets "arm rings." I wish I had written those things down when my kids were little. Happy Thanksgiving weekend to you and yours Susanne. Love that graphic! I do hope the misplaced item will be found. Happy Thanksgiving! I hope it is not too hectic and that it is full of loving family and friends. It IS SO cute to her little ones learn to talk. And I know what you mean about a melted heart when they say your name. I get a melted heart when I her "Grandma." Hurray for grace. Praying you find the item this week. Happy Thanksgiving. I'm glad you've found something to help with your knee. Constant pain is no fun. There has been a lot of media coverage here of the shooting in Las Vegas, including a lot of curiosity about what provoked the attack. Unfortunately I think that information was taken to the grave so speculation is just that - speculation. Hope you find your missing article. I know how annoying that sort of thing is. Happy Thanksgiving to you and your family! Snow?? Hurray for your hubby doing the shoveling. But. Snow in early October?? Grace and understanding--we all need it sometimes. And also comfort during this past week. I don't know if it is just me, but I can't find the mr. linky to post my link this week. We've all got a story to tell. Mine includes a wonderful husband, 3 adult children pursuing their dreams, a dayhome with 6 pre-schoolers, one dog, one cat and the grace of a loving God in the midst of it all. This site is licensed under a Creative Commons License Any and all written contents, and all pictures on this blog unless otherwise specified are the sole property of Susanne of Living To Tell The Story. Please do not duplicate or copy anything or use original ideas for any purpose without written permission of the author. Thank You and Much Appreciated!